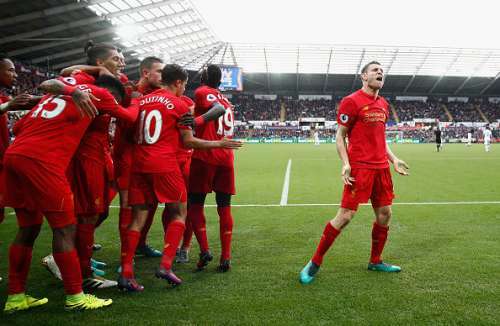 The Premier League game between Swansea and Liverpool at Liberty Stadium saw a fighting comeback from the visitors as they won 2-1 to record their fourth consecutive win in the league and jump up to a provisional second spot on the table. The hosts started the game strongly and went ahead 1-0 in the 8th minute with a Leroy Fer goal from a corner. The Swans dominated most of the first half and had the opportunity to increase their lead on multiple occasions. 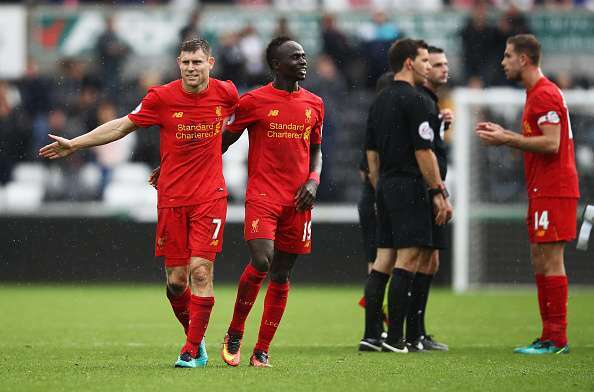 Their wastefulness was punished by Liverpool as the Reds made an impressive second half comeback with a header from Roberto Firmino and James Milner’s coolly taken penalty. After seeing the Swans dominate the game in the first half, many Liverpool fans were left wondering if the game would end on a similar note as the game away at Burnley, where the Reds’ attack struggled against a lesser fancied opposition after conceding early. However, as Jamie Carragher also pointed out at half-time, the fact that Liverpool had managed to keep the deficit to just 1 goal at the break gave them a better chance to make a comeback in the second half, and the team managed to do just that against a dogged Swansea side. Jurgen Klopp will be pleased with the fact that the team showed good fight to get 3 points from a tricky game in which it appeared at one stage that they may leave with no points.